SPLENDID OPPORTUNITY FOR THOSE SEEKING A DEEPWATER LOCATION. WELL MAINTAINED RANCH POOL HOME, WITH A VERY DESIRABLE SOUTH TAMPA LOCATION. SPLIT BEDROOM ARRANGEMENT, LOTS OF FRENCH DOORS OVERLOOKING THE SPARKLING POOL. "L" SHAPED FLOOR PLAN WITH FAMILY ROOM AND LIVING ROOM FOCUSED TO THE LOVELY LANAI AND WATERFRONT. WOOD FLOORS AND FIREPLACE IN COZY FAMILY ROOM ALL ENHANCE THIS PROPERTY. THOSE SEEKING A PRIME BUILDING LOCATION, LOOK NO FURTHER. 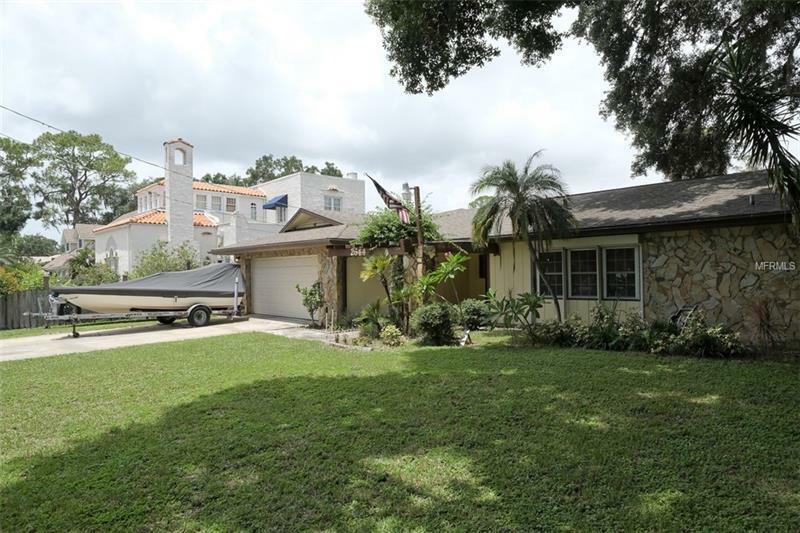 TWO STORY DOCK AND GREAT SETTING ON THE WATER, THE LAGOON BEHIND THIS HOME HAS A LUSH PARKLIKE SETTING. A PERFECT AREA FOR THOSE SEEKING A QUICK COMMUTE TO SAINT PETERSBURG OR TIA. ALSO FEATURING THE BEST SCHOOLS ON THE WEST COAST OF FLORIDA. THIS PROPERTY IS PRICED BELOW APPRAISAL AND READY TO SELL!